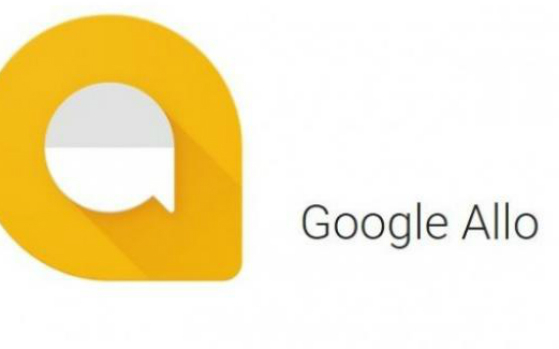 What is Google Allo App, how does it work ? Google Allo, the instant messaging app from the search giant power by the new Google Assistant, will start going live for users across the world. Messaging has come a long way for Google which has gone from GTalk to G-chat to Hangouts via Google Wave and Buzz. Google actually described Allo as a messaging up for Android and iPhone users. But it does a lot more than just allow you to send messages to other people. It's a smart messaging app in that it has the power of Google built-in and can apparently learn over time. Similar to WhatsApp, Allo is based on your phone number, so you can use it to send text messages to anyone in your phonebook - not just other Allo users. Apart from that, Google highlighted three aspects of Allo that make it unique: Expression, Google Assistant, and Security. During a demo at Google I/O, Google showed how you can use Allo to keep in touch with people. It looked like any other messaging app; chats appeared as bubbles, with one person's chat bubbles appearing on one side in a certain colour, and another person's chat bubbles appearing on the opposite side, and you could scroll up and down to see the entire threaded conversation. like Facebook Messenger - you could send stickers, which Google said were sourced from artists around the world. You could also send emoji. But one of the hottest features is something called Whisper or shout. This will let you slide up or down on the send button to change the size of your reply, meaning there's no need to write in caps all the time when you're angry. 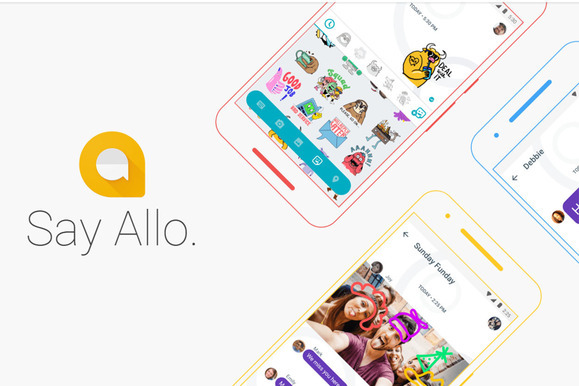 Continuing with this theme of giving you more ways to express yourself, Allo offers a feature called Ink that lets you get creative with photos. You can doodle on them, for instance. Allo also took the Smart Reply feature from Google's Inbox app, so now you can quickly respond while on the go. If someone asks if you want to grab dinner, Allo might serve up responses like "I'm in" or "I'm busy". Allo uses machine-learning and natural language processing in order to suggest replies on the fly, meaning it can anticipate what you want to say next and how you might say it. The more you use Allo, the better your suggestions become. And they will always be unique to you. However, because messaging isn't just about texts, replies also contain stickers and emoji. You'll even see smart reply options when someone send you a photo. Allo can understand the content and context of photos, thanks to Google's computer vision capabilities. If someone sends you a photo of pasta, you will see smart replies that include mentions of pasta, yummy, or whatever. The idea here is that assistive technology can help you communicate with little to no effort. If you didn’t catch the news when Google first announced Allo back in May, I'm going to start with the basics. How a messaging app works can be surprisingly complicated, so bear with me a bit as I go through it. There are some neat little surprises in how Google decided to set Allo up — but if you really don’t care about things like SMS relay, I won’t blame you if you skip on down to the next section. Allo is available starting on both Android phones and iPhones — but that’s it. Google hasn’t made it available on the web, on desktop, or on tablets. In fact, you can’t even use the same account on multiple phones. The Google Assistant will only be available in English to start, but it will be coming to more countries soon. Allo identifies you by your phone number (which it verifies with a text message), which is great because it means you don’t have to fiddle with account setup. You can associate your Allo account with your main Google ID (for me, this happened automatically) or keep it separate if you’d prefer that. The downside to this system, as said above, is that it’s only going to work on your phone. Google says it will look to expand Allo to other platforms eventually. For me, that’s a nonstarter. I can’t think of a single messaging app I use that doesn’t have a web or desktop version that I use all the time — heck, even Android SMS can work with third-party apps to let you converse from your big keyboard. But maybe I'm the weird one — in today's mobile-first / mobile-only world, Google may do just fine. On the other hand, that aggressive simplification has benefits. For example, Allo also doesn’t have any contact lists for you to maintain. It just piggybacks off your phone’s main contacts app. If your contact has Allo installed, they’ll show up on top. If your contact doesn’t have the app installed, one of two things happen. Both are actually kind of interesting. If they’re on an iPhone, they’ll receive an SMS with your name, the contents of your message, and a link to download the app. They can then download it or — if they want — just reply via SMS. Google has set up a full SMS relay so that your recalcitrant friends can avoid installing it at all if they don't want to. If they’re on an Android phone, something new and intriguing happens. Google is calling it an "app preview notification," and basically it shoots a notification directly to your Android device instead of going through SMS. Your friend will get a notification that looks and acts almost as if they had the app installed in the first place, message content and all. It means they won’t incur any SMS fees, either. Your recipient can reply within the notification, or tap on it to install the app. Why go into this much detail on how all this works? Beyond the interesting technical details, it illustrates the lengths to which Google must go to give Allo even a small chance of building up a critical mass of people to try a new messaging app. It’s radically, almost violently unclear how Allo is going to take on WhatsApp, Facebook Messenger, Line, iMessage, and all the rest. Many of these apps have more than a billion users, and so the Big Question for Google is how it’s going to get Allo distributed to an equally large number of people. We don’t know yet whether it will be installed by default on Android devices — we only know that Google decided not to hijack SMS like Apple’s iMessage does. This system of pushing out the full contents of messages while still offering an easy way to download is a clever way of creating a network effect. Having somebody demand you install an app to chat is annoying. Getting a text you can’t do anything with unless you install an app is also annoying. ||ੴ||ਇੱਕ ਓਅੰਕਾਰ Satnam Shri Waheguru Ji A Web Blog about Product Review, Blogging Tips, Tech Reviews: What is Google Allo App, how does it work ?